Continuing with the theme, Roadmap for Growth, in the afternoon of Sep 29th, three papers were presented. This session was attended by key decision makers of several FMCG players and retailers in the Philippines. Lourdes Deocareza, New Business Development head of Kantar Worldpanel Philippines shared which channels offer the biggest opportunity. Alexandre Duterrage, General Manager of Kantar Worldpanel Philippines talked about Innovation, and finally Andy Ridsdale-Smith, Director of Kantar Worldpanel’s Center of Excellence (CoE) discussed sustainable brand growth. With the Philippines enjoying a growth in FMCG, Lourdes spoke of the importance to us marketers of riding with the channels that drive this. At the heart of our consumers, convenience is what ultimately determines what channels they choose to shop in. Are we present in these ‘convenient’ channels? Alex then discussed how innovation is a clear necessity if one wants to grow ahead of the market. He argues that high rate of innovation equates with higher penetration. However, while success in trial will inevitably lead to success in repeat, this kind of success requires long term support. Do we have the right levers to support our new launches? Finally, Andy shared how we at how Kantar Worldpanel have the unique capability to completely understand your consumers via our See, Think, Shop framework. 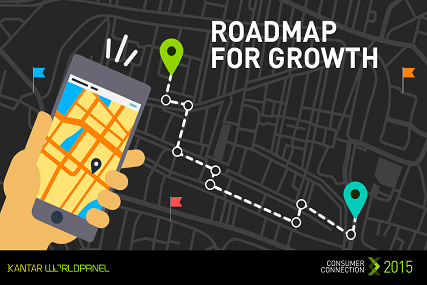 A consumer’s path to purchase is not linear – they reassess your brand after each purchase, and this is where the importance of touchpoints becomes evident, with paid, earned, and owned media playing different roles. Lastly for growing brands, for these to have sustainable growth, they must have a clear, consistent communication. Promotions tend not to build sustainable growth. The afternoon definitely provided the marketers important insights that can help them trek the Roadmap to growth.